Welcome back to another episode of The Twister, a quiz with a twist. We find some random object on eBay/craigslist/DHS.gov and you get to figure out how to make it better. Today's twister subject is a used Pepsi promotional jet ski trailer with a giant soda can on top, found here on eBay for $1,900 buy-it-now or make offer. I recognize that the logical thing to do with this thing is to make it into a promotional tool and have Kim Kardashian?? Paula Patton stand next to it, but we at the Daily Turismo are firm adherents to the principle of chaos. Instead of a simple ice chest or BBQ, this thing should be turned into a mobile beef jerky drying trike. Bolt on a custom chopper seat and forks up front, add a few paramotors out back to aid with forward progress and forced dehydration of the salted meat and you are in business...the mobile dried meat business. What would you make with this thing? 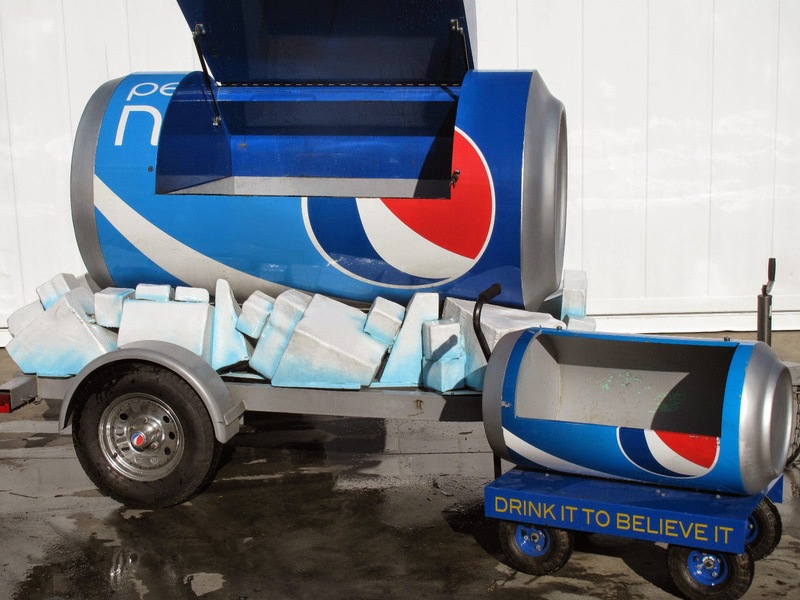 I would turn it into a mobile hot tub filled with a bath of warm and bubbly Pepsi cola. Can't get enough of that wonderful Duff! OH YEAH! I'm picturing someone leaving a luxury hotel with this in tow, and as the bellman says "sir, shall I put your wive's luggage in the trunk of your car", they reply, "No, actually she likes it in the can". ^^^Homemade like button---gracias. Allow me to manually "like your duff trailer as well---nice skillz. 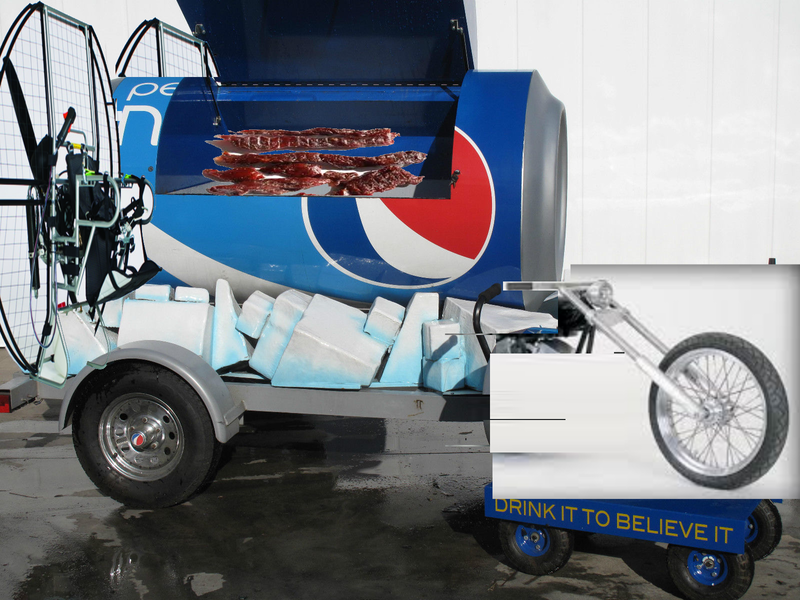 This is the perfect grill trailer for your barbecued penguin business. Be sure to upgrade the transmission so it doesn't blow a seal. I wondered how many of these were built, because I've seen several. The answer is 300+. The company that made them also converted several other cars. The Pinzgauer would be my first choice.